How to Find and Delete Duplicate Pictures in Google Photos. Google Photos is one of the best online stores for all images. As you will get unlimited storage, you can upload all your images or All folders containing images without even thinking. But this may lead to having duplicate images on your Google Photos. However, Google Photos tries to avoid uploading duplicates but it is not always successful. So, How to remove or delete Duplicate Photos in Google Photos? Earlier we can easily remove or delete duplicate photos or images in Google Photos with the help of Picasa. Now, this service is discontinued. Still, there are ways to Remove duplicate photos using a third party tool or software. Let’s learn how to remove or delete duplicate Photos in Google Photos? Third part tools make your work easier to find out and remove duplicate photos from Google Photos. As these tools can’t work directly on Google Photos, you have to first sync all your Google Photos on your System and with the help of duplicate finder tool, we can easily remove duplicate photos. 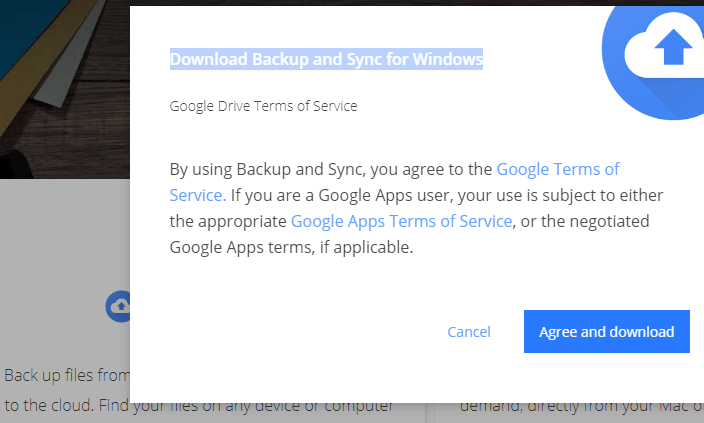 Step 1: First, Go to https://www.google.com/drive/download/ and download “Backup and Sync” app for deleting duplicate pictures in google photos. Step 2: While installing the Software to need to do a few required steps to complete the “Backup and sync” app installation process on your computer. Once the installation process will be completed, the Setup Wizard box automatically opens. 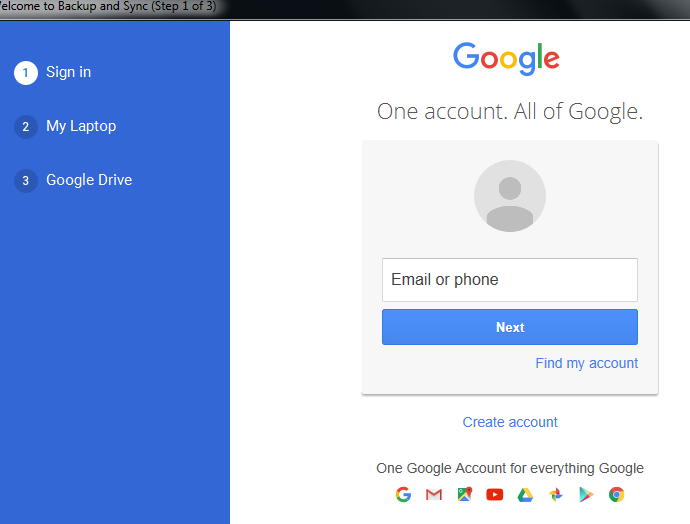 After this, you need to enter your google account details to sync your drive and photos with your computer. Step 3: Now Google Drive will be active on your computer and created one folder named Google Drive. This folder will have all of your sync data and photos from your Google Drive Storage account. Step 4: After this, you have to open google drive in the web browser and click the “Gear” icon which is on the right-hand side of the screen, then select the “Settings” option from the drop-down. Now you have scroll down and checkmark the “Create a google photos folder” option. 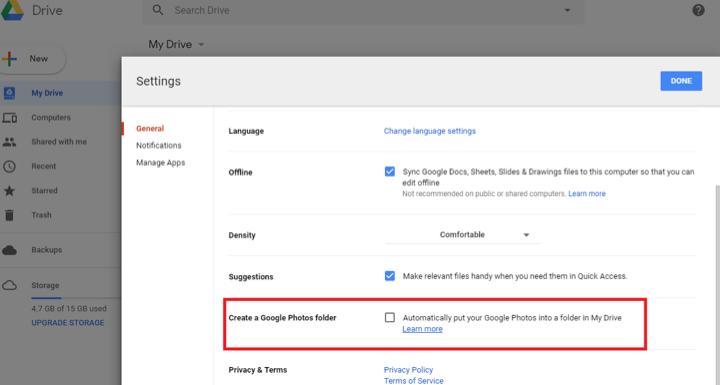 This is to make sure that you can access your Google Photos from your Google Drive folder on your PC. Step 5: After completing all above process now you have to Download the third-party software “Duplicate Sweeper” for remove duplicate photo from google photos. 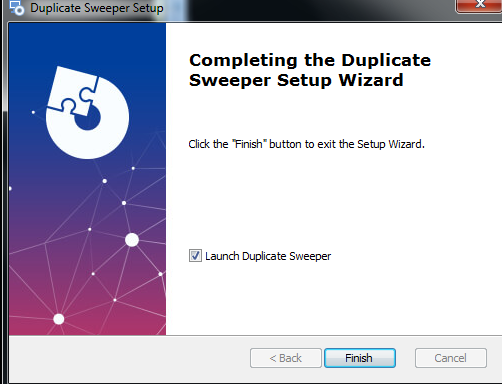 Step 6: After installing “Duplicate Sweeper” software. Now Click on the Add Folder option which Locates on the bottom of the software and then you have to select the Google Drive folder from your computer and Click on the “OK” button to add the folder. 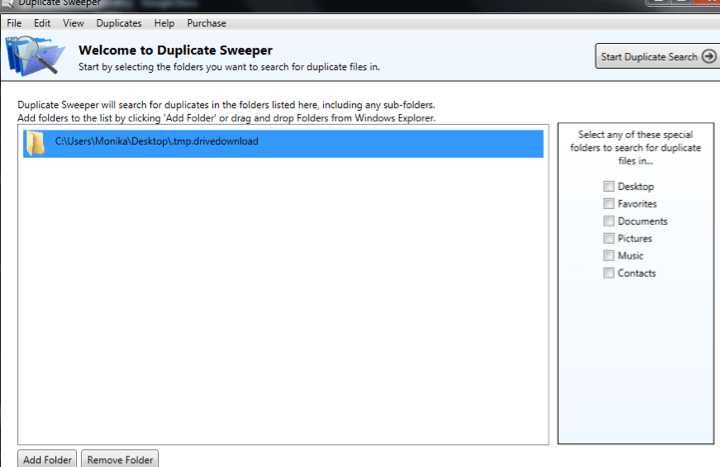 Step 7: Click the “Start Duplicate Search” button in the top-right corner of Duplicate Sweeper. Step 8: Google Photos remove duplicates- Duplicate Sweeper will now scan the folder and return a list of any duplicate files it has found. You need to select the files in each group that you want to remove. Finally, Click on the ok button to delete/remove.